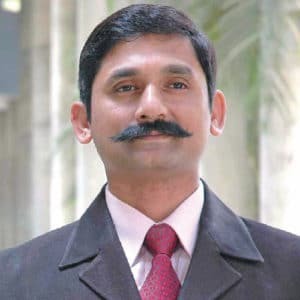 Since its inception, the National Council of Educational Research and Training (NCERT) has been assisting and advising Central and State Governments on policies and programmes for qualitative improvement in school education, says Major Harsh Kumar, Secretary, NCERT in conversation with Shivani Tyagi of Elets News Network (ENN). Give us an overview of IT related initiatives taken by the NCERT? NCERT was established in 1961. Since then the council is working on research, training and outreach for the prodigy of school learning. In today’s age of digitisation, our online services are one of the finest examples of it. All NCERT books are available online along with e-Pathshala for every class. 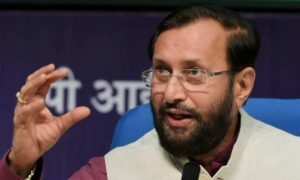 To resolve the issue of nonavailability of NCERT books, we are soon going to launch a portal to enable students and others to order any number of books of the required subject. We have also launched “SWAYAM” to bridge the digital divide among students who have remained untouched by the digital revolution. After a lot of research, we’ve developed learning outcome paper through which parents, kids and teachers, can check what has been taught and what students have learnt. NCERT is also putting its efforts for children with special needs. We’ve started books in Braille for visually challenged students. How important is teachers’ training programme? What initiatives have been taken by NCERT in this regard? Teacher training is very important. We have five RIs (regional institutes) in Ajmer, Bhubaneswar, Bhopal, Mysore and Shillong and running various teachers’ training programme through which we will try to recruit skillful teachers. Not only this, for teachers in service, our various departments conduct various training programmes the whole year. These initiatives for teachers are very important as they are the only ones who train students. We’ve such programmes for teachers earlier as well but the present programmes are more improvised as per the changing environment. Earlier, digitisation was not there, everything was done manually, but now things have changed and become easier. We have five RIs (regional institutes) in Ajmer, Bhubaneswar, Bhopal, Mysore and Shillong and running various teachers’ training programme through which we will try to recruit skillful teachers. There is a wide gap between facilities available to students in rural and urban India, how NCERT is bridging the gap? We can reach out rural masses through the State governments. Under Government of India’s initiatives, NCERT helps a State in formulation, implementation and execution of any programme, if required. We are developing programmes and parameters for the States. For example, NTSC examination is conducted in two stages, first at State-level and second at national level. At State-level exam, States are free to frame questions and coordinate for other administrative things. Earlier, these processes run at NCERT headquarters only but now it has been conducted in every state through State Council of Educational Research & Training (SCERT) and the guidelines are issued by head office. 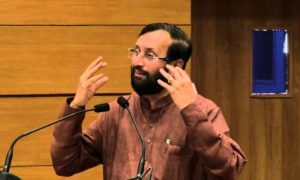 Now we are trying to develop a hierarchy in which the process will be conducted at the block-level under the supervision of State councils and NCERT will be the supreme authority. This way it will be an integrated effort where everybody has to participate. Sometimes State Councils of Educational Research and Training (SCERTs) alone are able to resolve those obstacles. Sometimes our involvement is necessary. At the end, with the coordination of various departments, every obstacle is dealt with effectively. What steps have been taken by the NCERT to upscale vocational studies? We are planning to start various programmes in our vocational institute – Pt Sunderlal Sharma Vocational Institute, Bhopal. Some new initiatives have also been taken and in some institutes we have added up programmes on vocational training. We might have come up with another institute in Andhra Pradesh. 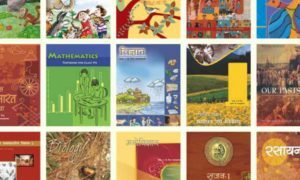 What are NCERT’s future plans? We plan to reach the masses. There was fabricated scarcity of books and to avoid that in future, we are developing a portal to be launched shortly where all books will be available. The online portal alongwith increased number of vendors so that books are easily available in every corner of India. In other initiatives, NCERT is coming up with innovative online teachers training courses for teacher and educators and development of e-contents.